So, you’ve created your site and have been waiting for the visitors to just pour in. By now you’ve probably realized it just isn’t that simple. Ideally it would be, but that’s just not the way the web works. It is extremely important to have a great website, with great content, but that isn’t enough (although it certainly will help!). This article will give you 3 simple steps on what you, the website owner, can do to start getting visitors to your site. If you have a website then you are offering some sort of expertise to the world. Whether you are the best plumber in Minnesota, or have the next Facebook, you have something to offer. You might think whatever you have to say about your industry isn’t that interesting, but you’d be surprised. 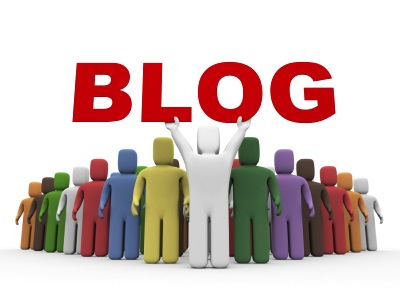 Start a blog either on your own site, or using a blogging software like wordpress or blogger. Blogging is something that you have to keep up with for a long time and not give up on. Even if you don’t have the best writing skills, open a blog , it will do nothing but help you website. The best way to get started is simply to think about your current customers and the questions they currently might have for you. Act as if you’re talking to them, and just expand from there. Everyone has their own niche that they are good at, and if you learned that skill there is someone else out there that is interested in what you have to say… so share everything you can. 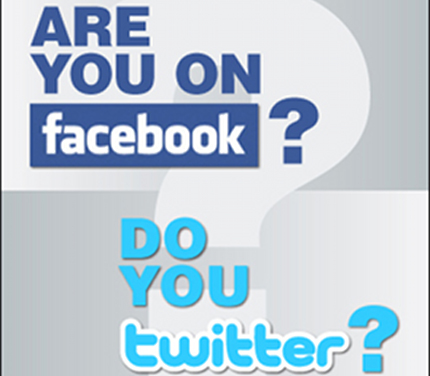 Start a facebook fanpage, and a twitter profile. This goes hand and hand with starting a blog. After writing a post on your blog, post a note about it on your twitter or facebook account. Start talking to your followers, go out there and find others in the same industry, follow them, and engage in conversations. The social media world is an exponential thing, so if you put in a little time you get even smaller results, but if you really put in a good effort, you’ll get that effort back ten-fold. Social media is all about connecting with people. If you start interesting conversations with people, other people will see them and want to join in. That is the process of how so many ‘twitter celebrities’ were born. It works especially well if you know about some topic very well, and talk about that. Remember the world is a big place, and no matter how small your niche is, if you show knowledge, people WILL be interested! If you don’t know what search engine optimization is, then just stop reading this article right now. If you’re looking for more traffic, your first source should always be from the search engines (primarily Google). 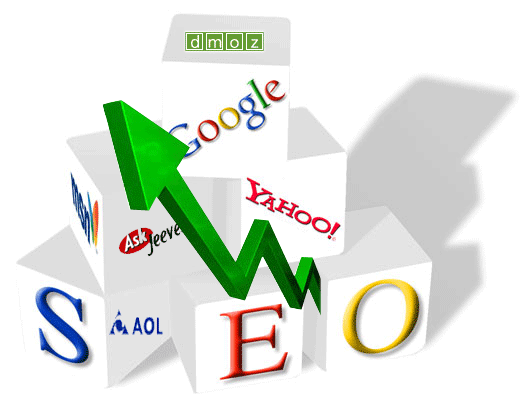 Search engines scour the web every second looking for new content, and judge your site according to a secret formula. There are certain thing that are known about this formula that you can implement into your own site to both helpfully tell Google what your site is about, and at the same time increase your search engine ranking. We offer search engine optimization services here the Bryant Smith Design Group, so feel free to message us anytime for help. With this said, you need to be realistic to be successful. If you own a car rental shop in Alaska, don’t try to rank for just ‘car rental’, that just isn’t going to happen… you’ll be competing against the largest car rental companies in the world with multi-million dollar budgets. Instead, start in your home town. Once you rank well for that, try the whole of Alaska. Then go from there. We in the industry call these long tailed keywords. So the main keyword could be: ‘car rentals’. So instead of targeting that at first (which will get you no where), go for something like Wasilla Alaska car rental. Once you accomplish that, go for discount Alaska car rental. Then Alaska car rental. You get the point, however this is the number one mistake made by the majority of websites on the net, know where your website can succeed, and target that market. b) Get links into your site. Once you’ve optimized your site, you need to start getting links into it. This isn’t the easiest thing to do, but there are a few ways to start out if you have no previous knowledge. The most common and easiest way to get links into your site is to comment on existing blogs in your industry and provide quality comments with a link back to your site. You can also try to email some other website owners in your industry and ask for a link back to your site in either a link exchange or a one way link. All in all, marketing your website will always be a combination of all these factors. It is all a matter of the amount of knowledge you’re willing to gain, and time you’re willing to spend to learn what works for your business. If you ever need any help, we’ve been in the industry for over 14 years, and would be happy to help, so feel free to send us a message.